Star Wars: The Force Awakens ended on a similar note to the movie that started it all, A New Hope, with the good guys blowing up a planet-destroying machine and dealing a major blow to the tyrannical antagonists. Then two years later, The Last Jedi arrived, and like The Empire Strikes Back, it was a significantly darker chapter. Within just a few days, nearly all of The Resistance was destroyed by The First Order, with the few survivors just barely escaping aboard the Millennium Falcon. But the new Star Wars trilogy isn’t over yet, and at the end of next year, we’ll see the conflict between The Resistance and The First Order finally conclude in Episode IX. Only unlike its Original Trilogy counterpart, Return of the Jedi, it doesn’t sound like we should expect to see The Resistance launching a full-blown assault to bring down their opponents. While important Resistance members like Leia Organa and Poe Dameron managed to make it out of The Last Jedi unscathed, our heroes certainly didn’t have the numbers to take the fight back to The First Order anytime soon. Word of Luke Skywalker’s actions on Crait has already made its way around a galaxy far, far away, as evidenced by Broom Boy and the other kids on Canto Bight learning about it, and as Luke and Leia predicted, the Resistance will be reborn. However, as Oscar Isaac recently revealed, the benevolent movement has turned into more of a guerrilla force when Episode IX rolls around. So while their numbers have managed to grow, rather than carrying out massive assaults against The First Order, they instead quickly attack, go back into hiding, regroup, rinse and repeat, akin to how the Rebellion operated in its earliest years when combating the Empire. Isaac described the operation as “ragged,” which is a far cry from where the Rebellion found itself in Return of the Jedi. The Rebellion lost a lot of good soldiers on Hoth at the beginning of The Empire Strikes Back, but the fact of the matter is that a year after that conflict, the Rebellion had enough people among its ranks to wage an attack on the second Death Star, with Han Solo and Leia Organa leading the effort to destroy the space station’s shield generator, while Lando Calrissian, Wedge Antilles and Admiral Ackbar were among the many who took part in the space battle. Sure, some factions of the Rebellion likely stayed behind in case the second Death Star assault wasn’t successful, but clearly its leaders felt that they stood a good enough chance to blow up the Empire’s newest weapon (particularly since they had what they believed was top-secret information). That doesn’t sound like this will be the case at all in Episode IX. 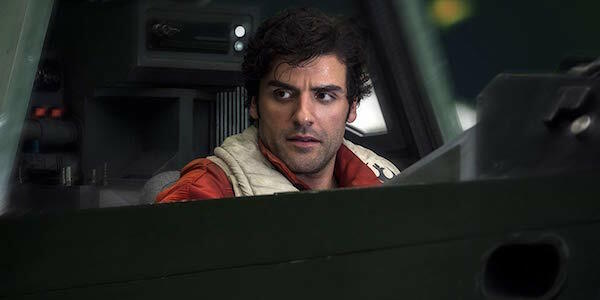 The Resistance may have grown back to being a credible threat, but going off of Oscar Isaac’s explanation, there’s no way they would have enough people to carry out an assault on the same scale that the Rebellion did three decades ago, and narratively speaking, that’s probably for the better. One of the main criticisms directed towards The Force Awakens was that it felt like too much like A New Hope rehash, so it’s doubtful Episode IX will repeat the formula of having its heroes band together to bring down a planet-destroying machine. But on top of that, if the Resistance is relying on guerrilla tactics to keep The First Order on its toes, then unless they’re somehow able to rally citizens all across the galaxy far, far away to collectively rise up against The First Order, then they’ll have to defeat their enemies through more creative methods. Unlike the Prequel Trilogy, which required the establishment of the Empire and for the Jedi Order to be eliminated, it’s a good bet that Episode IX will follow in the Original Trilogy’s footsteps and end on on a positive note by having the good guys ultimately overcome the bad guys. For now, it’s hard to say how that will be accomplished, but for now, it’s good to hear that rather than adhere to closely to Return of the Jedi, Episode IX is embarking on a different path when it comes to two military forces wrapping up their years-long war. Star Wars: Episode IX will be released in theaters on December 20, 2019, so keep checking back with CinemaBlend for more updates. As for what other Star Wars movies are on the way, you can get up to speed by looking through our handy guide.